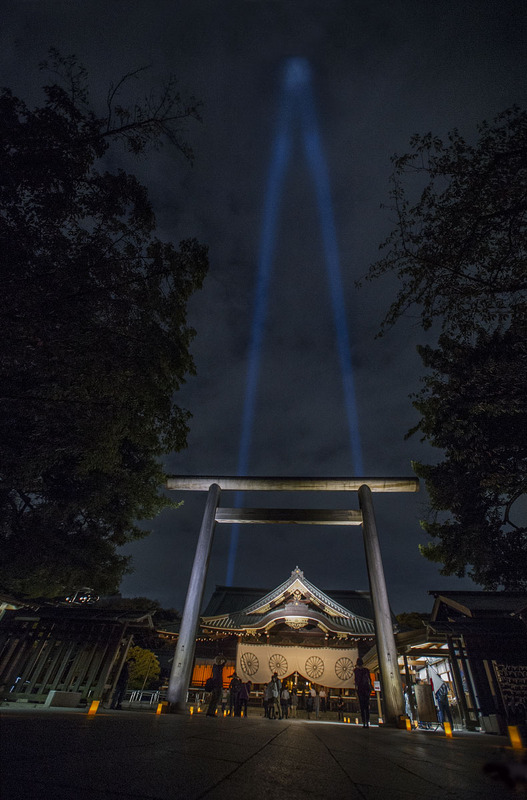 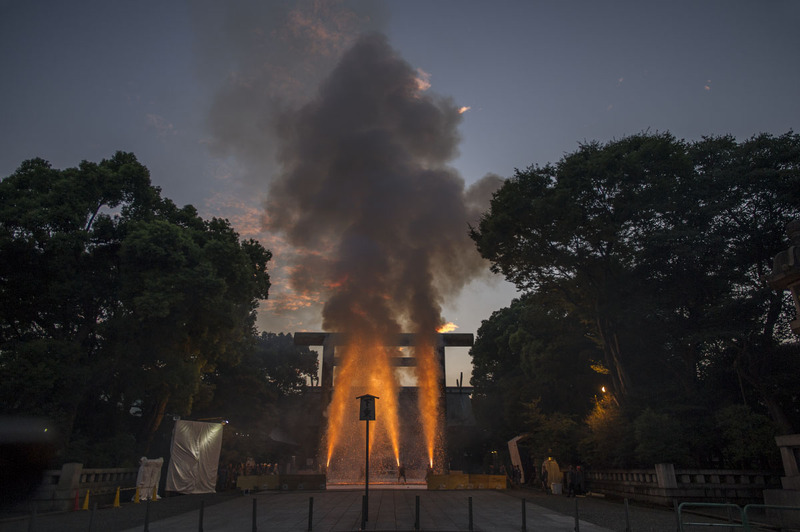 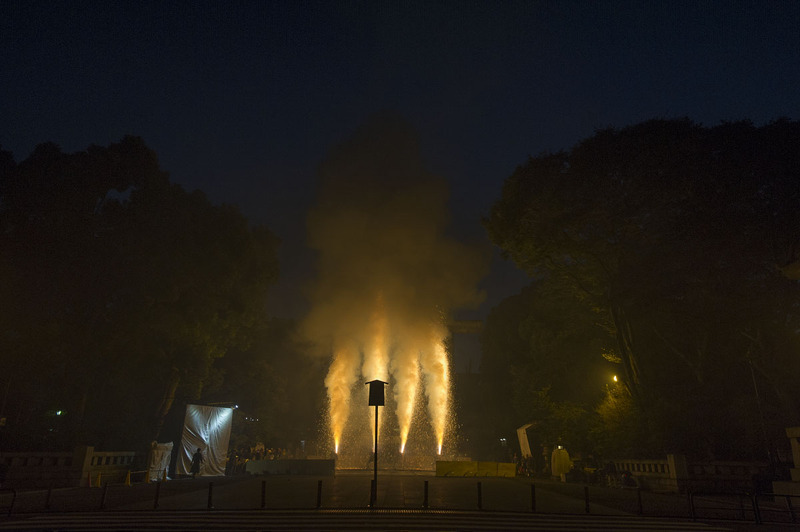 Two searchlights are casting beams of light above the grand Yasukuni Shrine in central Tokyo during the Miraitoterasu festival last month. 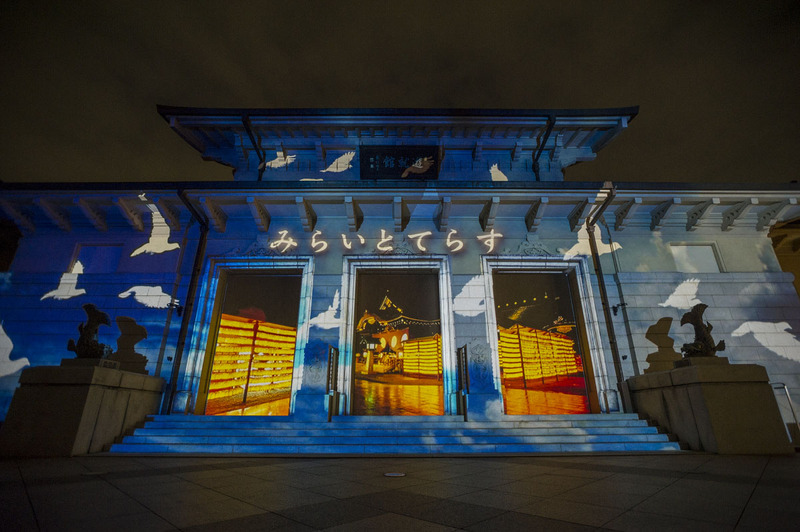 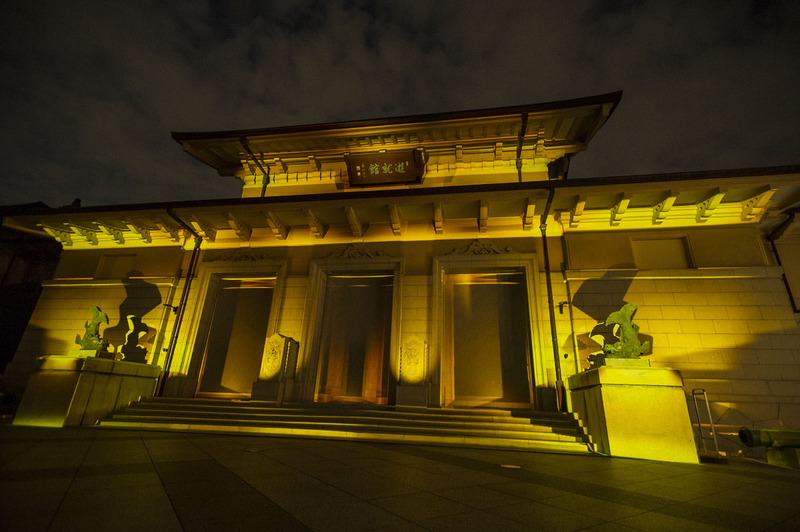 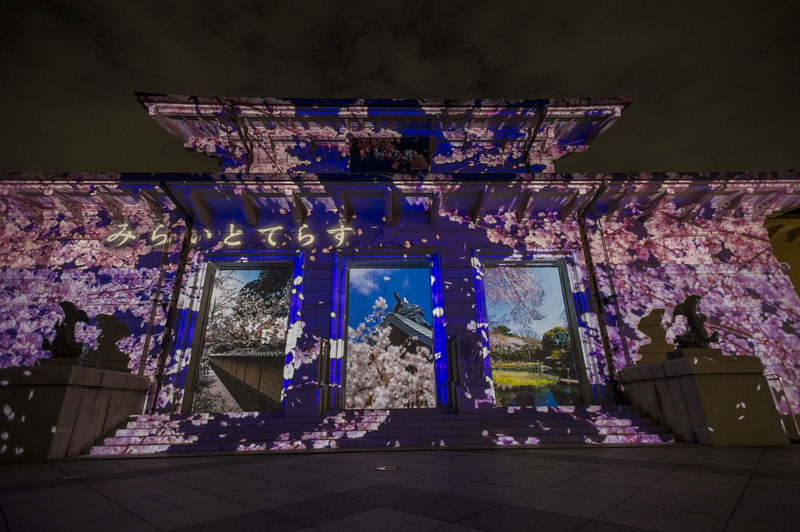 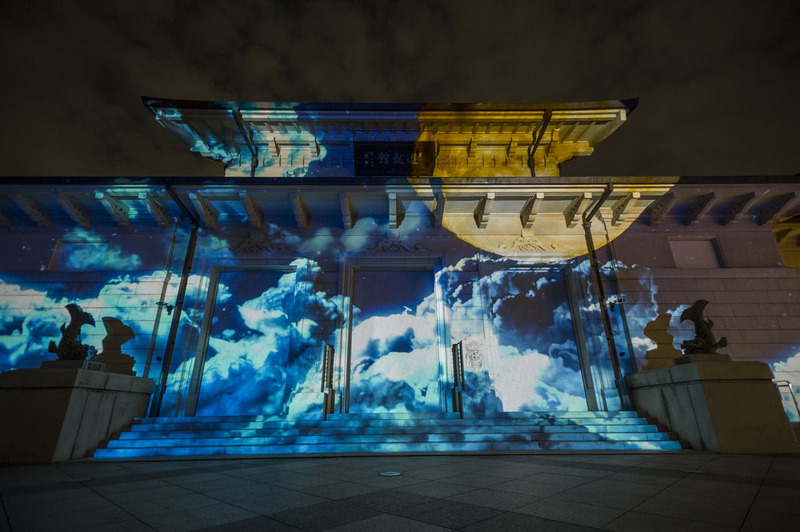 During the three day Miraitoterasu festival at the Yasukuni Shrine in in Kudanshita district, central Tokyo, one of the museum buildings attached to the shrine was lit up by projection mapping showing the four seasons of the shrine. 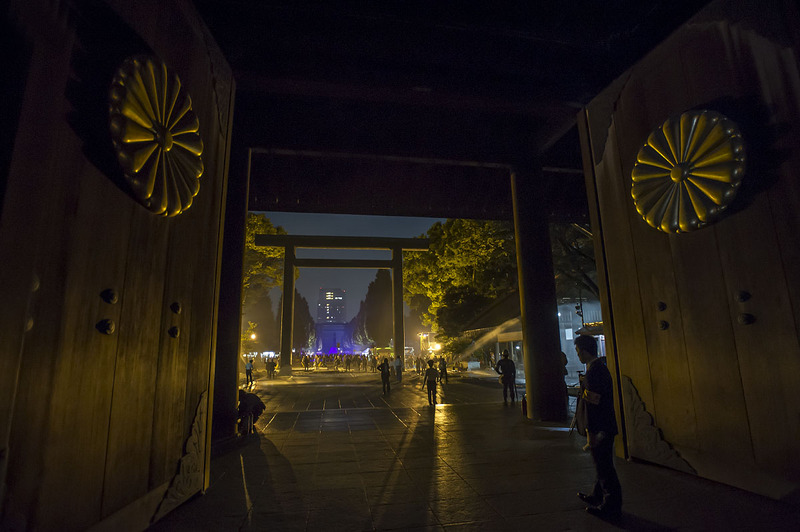 I must have been here a hundred times but I never tire seeing the shrine covered in cherry blossoms or autumn leaves. 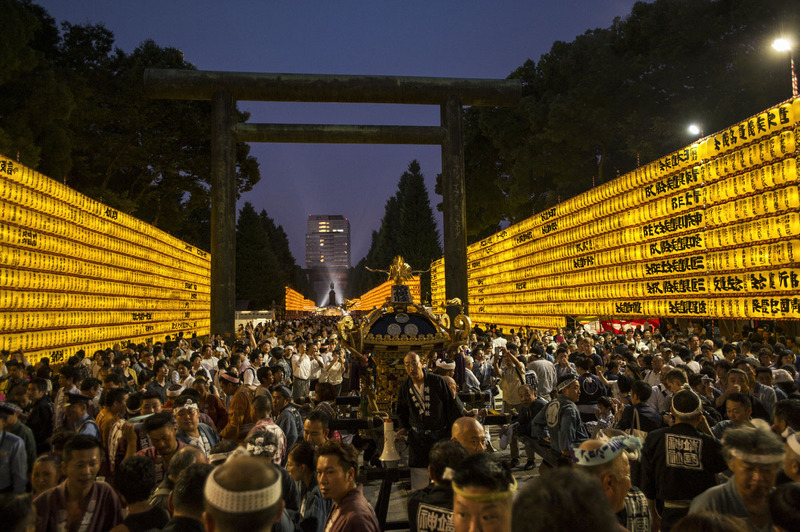 More photos from the grand Mitama Matsuri taking place at Tokyo’s centrally located Yasukuni Shrine, from Monday to Thursday this year. 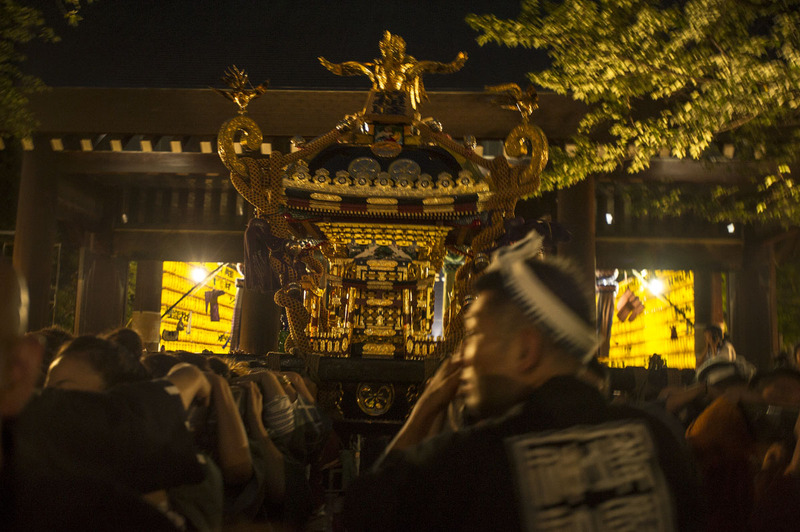 I was there on the first day of the festival to see the beautiful Omikoshi (portable shrine) being carried all the way up the shrine, pausing a few times on the way to let the people carrying it catch their breath. 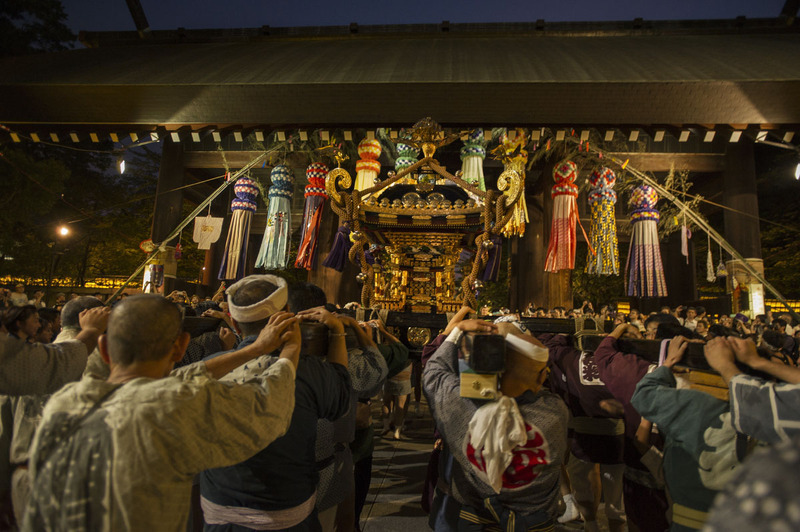 This is one of the most prestigious omikoshi in the capital, so there is quite a lot (good hearted, usually, but not always) jostling for the most honorable spots underneath it! 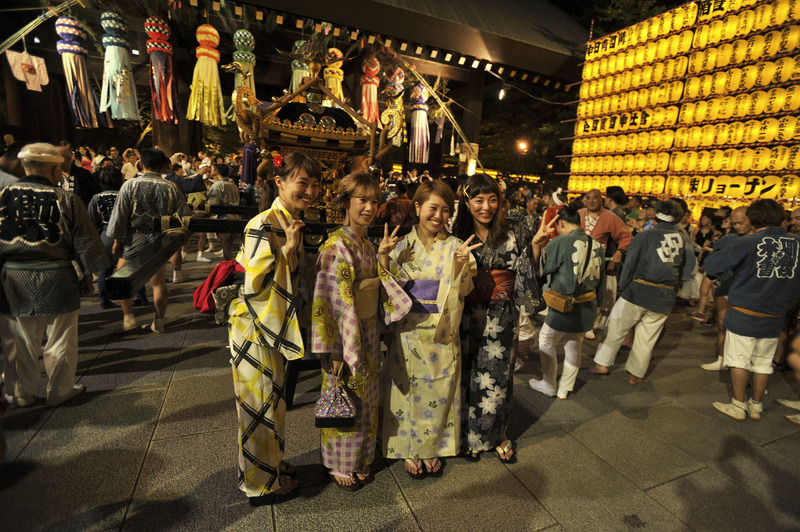 A few people also took the opportunity to pose with the omikoshi before the last spurt under the great gatehouse. 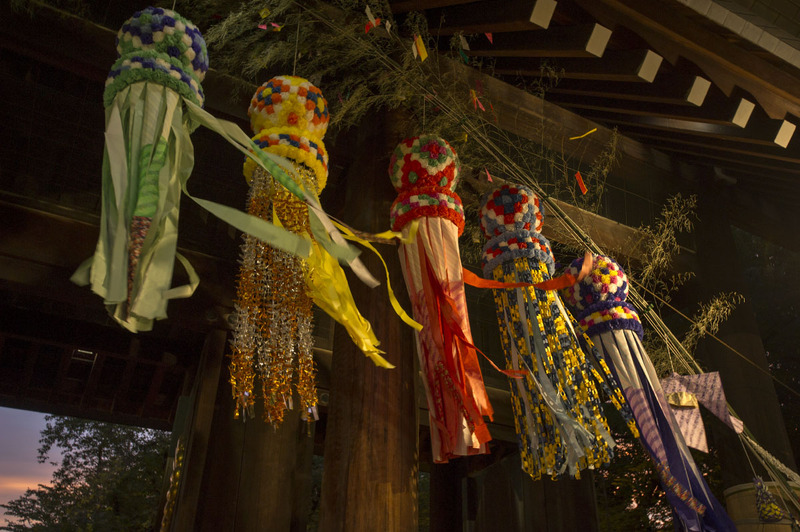 Since the festival is tied in with the traditional tanabata celebrations there are usually some very colorful decorations hanging from the front of the grand gatehouse. 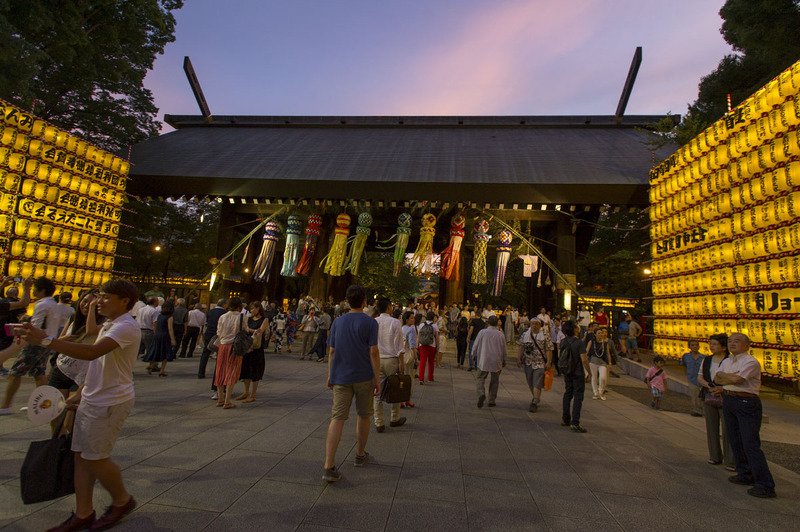 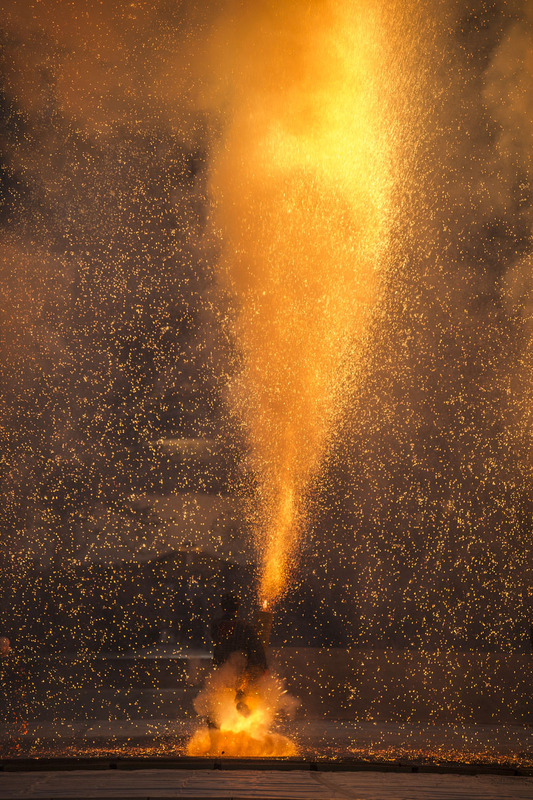 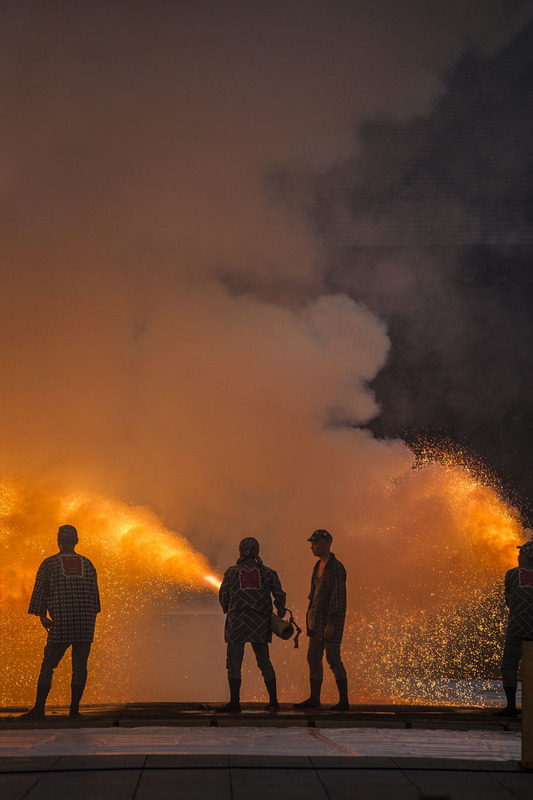 If you are in Tokyo, don’t miss the last day of the festival tomorrow! 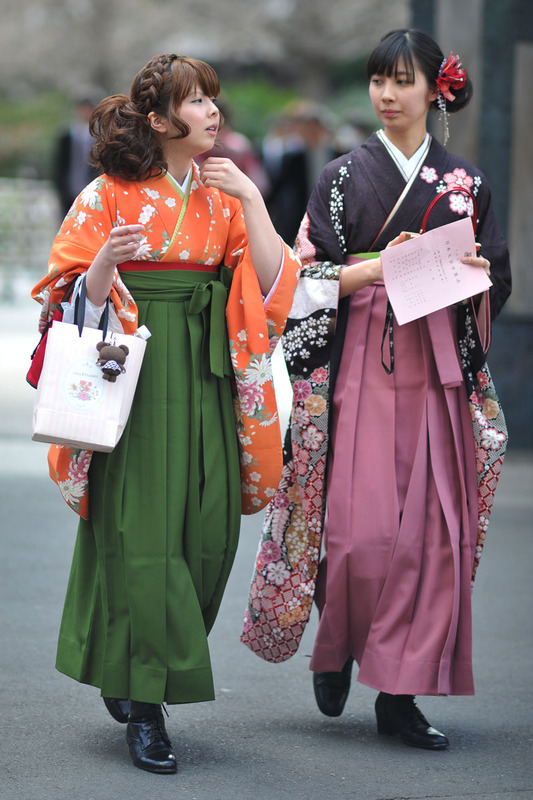 It is better than ever this year!